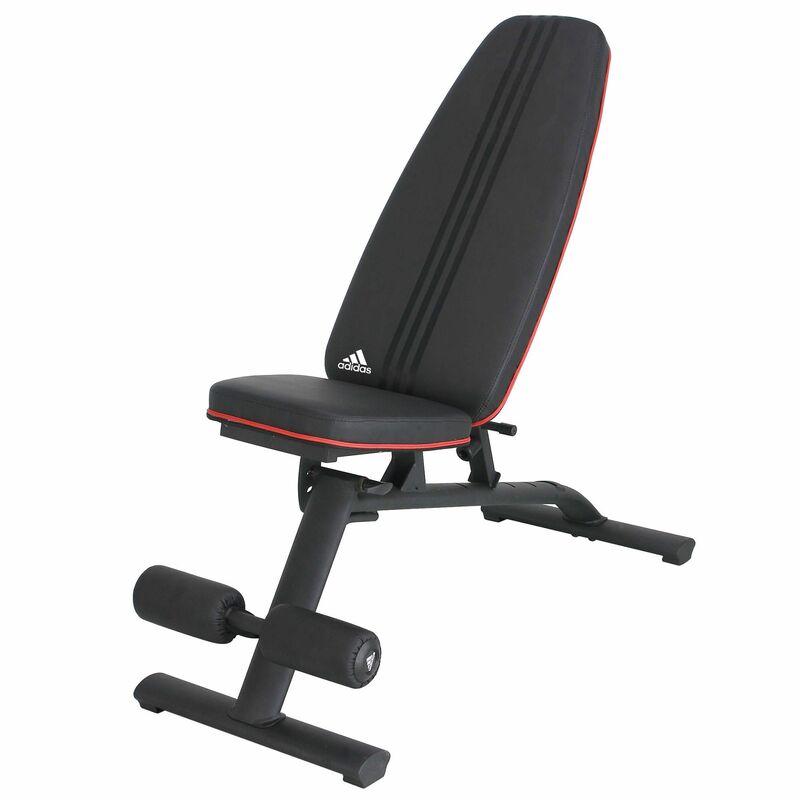 The Adidas utility bench is designed for many different exercises with or without weights. The back pad can be adjusted in several positions from decline and military through flat position to high incline. The bench is coated with black powder finish and the pads are filled with durable high density foam. It can take the maximum weight of 125kg (275lbs). for submitting product information about Adidas Utility Bench We aim to answer all questions within 2-3 days. for submitting product information about Adidas Utility Bench. We aim to answer all questions within 2-3 days. If you provided your name and email address, we will email you as soon as the answer is published. Was reluctant to buy this bench as I couldn't find any reviews about it. Two weeks later took the dive and just put it up in my garage only took about an hour nice n easy! Good delivery too next day! More than happy with it, strong build and light and the padding is really thick and comfy. Wasn't exspecting the quality to be this good all round top bench, glad I spent a little more instead of getting a cheap one. for submitting product review about Adidas Utility Bench.